Your opinion of the world around you tells more about you than it does about the world. There are many things in the world about which you do not know, but you know you. 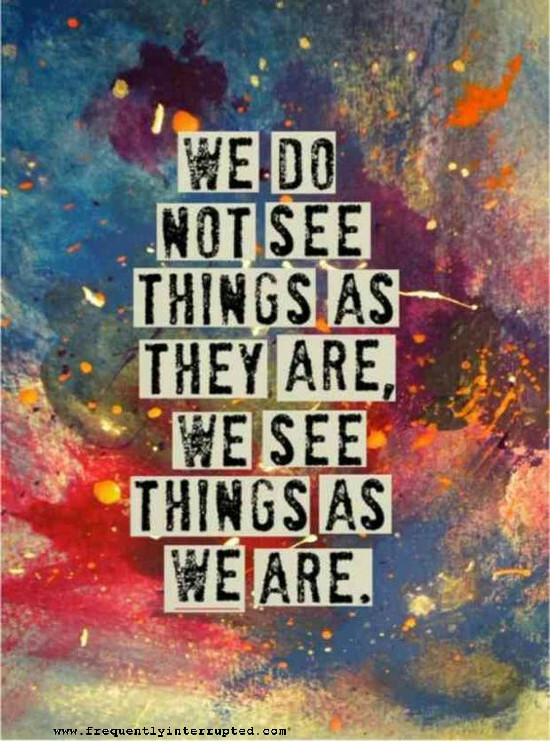 What you think and what you see are reflections of your own perspective. They demonstrate what you have learned to see and what you expect to see. If you run into a foul person during your day, you have run into a foul person. If you run into foul people throughout your day, it is more likely that you are the foul person. We reflect what we are, and we describe that in how we perceive our surroundings.